The journey to the top of the racing world is filled with several hardships along the way. One driver who exemplifies this as much as anyone is current Mazda Road to Indy hopeful Kristian Aleixo. 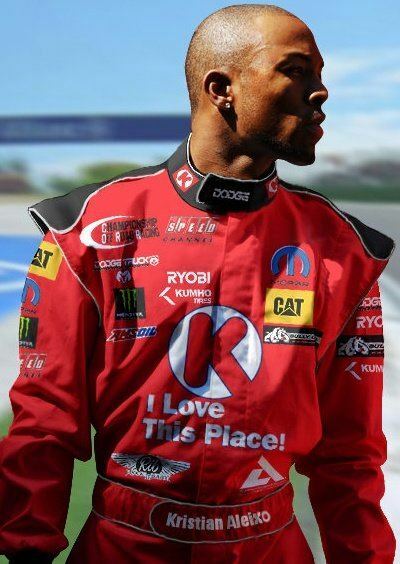 The young driver, who published his autobiography, My Life in Story: The Outside Groove by Cosby Media Productions, has had a remarkable journey as he awaits his chance at the Indianapolis 500. Aleixo’s story begins in Tacoma, Washington. Growing up in a single-parent home, Aleixo lost his mother at the age of 13 to Type 1 Diabetes. His father gained custody of him, but the family remained homeless throughout his time in high school. Aleixo notes that what helped him through the rough patch was having the title his grandfather’s 1967 Volkswagen Beetle. With a friend’s influence, he took up autocross at the grassroots and local levels. Looking to improve his financial situation, Aleixo joined the Army as a Movement Control Specialist upon his graduation. He served a tour in Iraq and made Sergeant (field promotion). After being accepted as a warrant officer, Aleixo was deployed for a second tour while waiting to attend college. During his second tour of duty, Aleixo became ill and was diagnosed with Type 1 Diabetes. Unable to obtain the thrill of flying choppers for the Army, Aleixo asked for his release and began to work back toward his racing career. A new interest in sports car racing led the Washington state native to look for a track owner to give him an opportunity to test and become accredited. That helping hand would come in the form of a California track owner, who employed Aleixo as a laborer in exchange for track time at the end of the day. Aleixo used the same 1995 Ford Thunderbird he lived in and obtained his novice license. At the advice of Randy Pobst following a meeting at Sebring, he took up modified and NASCAR testing. After finding his way with a fledgling team in the NASCAR Truck Series for a part-time ride, the team folded and Aleixo was left on the outside looking in. After a test in a formula car and some encouragement from a part-time Verizon IndyCar Series driver, Aleixo became enamored with IndyCar and set his sights on the Mazda Road to Indy. Aklexio’s agents at IHR Management Group have laid out a plan to get him to the Indianapolis 500 by 2020, should the money come together smoothly. The first goal for the 29-year-old is to run at Lucas Oil Raceway during 500 week in May in USF2000 and Gateway in Pro Mazda in August of this year. The planned 2019 docket for Aleixo includes Indy, Iowa and Gateway in Lights and then hopefully becoming the 2nd U.S. veteran and 3rd African-American in history to run the 500 in 2020. In preparation for his goal, Aleixo moved to Indianapolis in order to train at RaceCraft1 and PitFit. Although they’ve had interest from a few teams but as always, the need the money to make it happen, which they are in pursuit of. Aleixo notes several unique opportunities potential sponsors have with him, including his book and that he is signed to the very successful NYC based television production company, Sharp Entertainment, who are building a reality show around my journey from homeless to the 500. He also expresses having an “in” with diabetics and veterans as well as I would be the only veteran competing. The determination to achieve major goals he has exhibited throughout his life is something Kristian Aleixo cites an appeal to run at Indianapolis. “The Indianapolis 500 means everything to me,” Aleixo exclaimed. With a plan in place for his future, Aleixo will be a name worth watching in the Mazda Road to Indy as he looks to continue his incredible journey through life and racing.